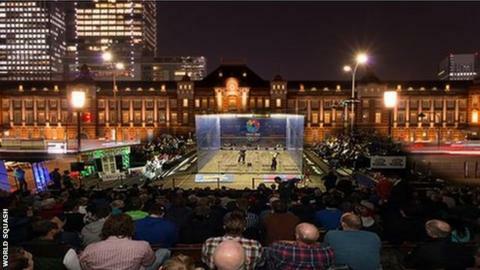 The World Squash Federation will seek answers from the International Olympic Committee over the sport's continued exclusion from the Olympic Games. Squash, bowling and wushu failed to make the list of new sports recommended for the 2020 games in Tokyo. WSF President Narayana Ramachandran said: "We presented a strong case, and find this difficult to understand." Skateboarding, surfing, sport climbing, baseball/softball and karate discover next August if they will be included. He added: "We confirmed the low cost and highlighted domestic medal potential via two top world juniors from Japan. "We even offered to provide the two all-glass show courts at no cost to the hosts and for them to remain in Japan as a legacy of the Games."